Manouchehr Ashrafpour, Sahar Parsaei, Hamid Sepehri. Background: Alzheimer’s disease (AD) is one of the most common neurodegenerative syndromes characterized by a progressive decline in the spatial memory. There are convincing evidences on the neuroprotective effects of flavonoids against AD. Aims and Objective: To determine the effect of quercetin on the acquisition and retention of spatial memory in a rat model of AD. Materials and Methods: Twenty-four male Wistar rats were divided into four groups (six in each): group I: control rats receiving intracerebroventricular (ICV) injection of normal saline, group II: rats induced AD by ICV injection of streptozotocin (STZ; 3 mg/kg bilaterally; twice, on days 1 and 3), and groups III and IV: ICV-STZ AD rats treated intraperitoneally (IP) with 40 and 80 mg/kg/day quercetin, respectively, over a period of 12 days. Then, the rats were trained with four trials per day for five consecutive days in the Morris water maze (MWM). On the sixth day, the memory retention was evaluated. Result: The ICV-STZ AD groups showed a significant impairment in the acquisition and retrieval of spatial memory when compared with the control group (P < 0.001). In the AD groups, the escape latency during the training trials showed a significant decrease (P < 0.001). Meanwhile, during the MWM task, these rats spent more time in the target quadrant in probe trials when compared with the controls. Conclusion: Quercetin acted as a spatial memory enhancer in ICV-STZ–induced AD rats. Hence, this flavonoid can be considered potentially as a promising agent for developing prophylactic and therapeutic neuroprotection. This neuroprotective effect of quercetin may be attributed to its antioxidant and scavenging properties. 13. Beheshti N, Ganji F, Sepehri H. Effect of vitamin C and quercetin treatment on the liver histopathologic profile in congenital lead exposed male rat pups. Physiol Pharmacol. 2015;19(1):46â€“52. 18. Sepehri H, Ganji F, Bakhshandeh F. Effect of short time captopril administration on spatial memory in aging rats. Physiol Pharmacol. 2015;19(1):68â€“75. Journal of Chemical Neuroanatomy 2019; 95(): 70. 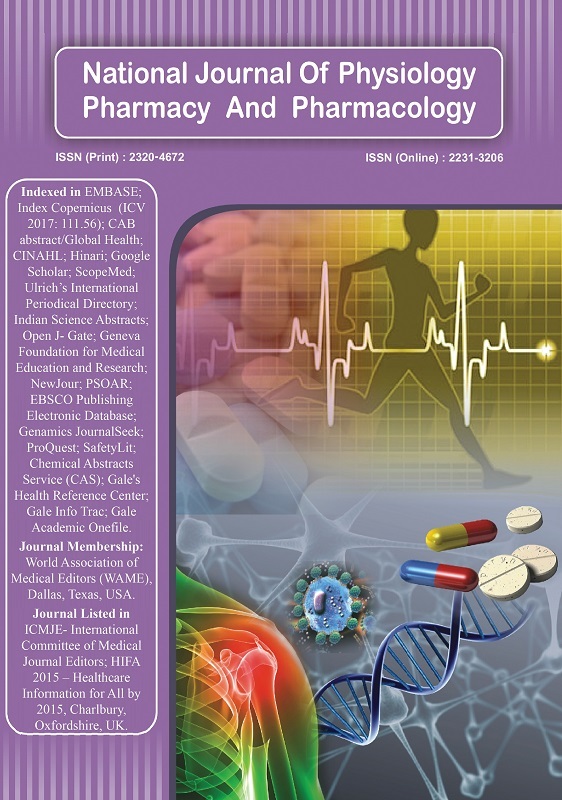 Biomedicine & Pharmacotherapy 2018; 108(): 374. Journal of Food Science 2018; 83(9): 2280. Life Sciences 2018; 194(): 213. Biomedicine & Pharmacotherapy 2018; 102(): 966. Journal of Chemical Neuroanatomy 2018; (): . Front. Pharmacol. 2018; 9(): . Life Sciences 2017; (): . Neural Regen Res 2016; 11(12): 1976. Biomedicine & Pharmacotherapy 2016; 84(): 892.